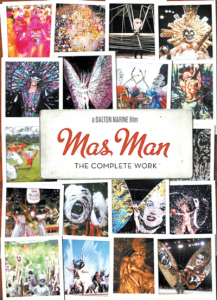 The film captures Minshall’s flair for costume and the enigma of a designer/artist whose main job seems to open confrontation between good and evil against the backdrop of the celebrations. His calling, as such, is to awaken themes about humanity that not only display a curious slant in art but also inform audiences that are privileged to discern his work. Minshall’s mobile street theatre, comprising 2,500 masqueraders, eventually influences the Olympic Games to feature him as an artistic director for the Opening Ceremonies in Barcelona, Atlanta and Salt Lake City.